A five minute ride from downtown Wisconsin Dells will reward you with an enjoyable outdoor experience to share with family and friends. 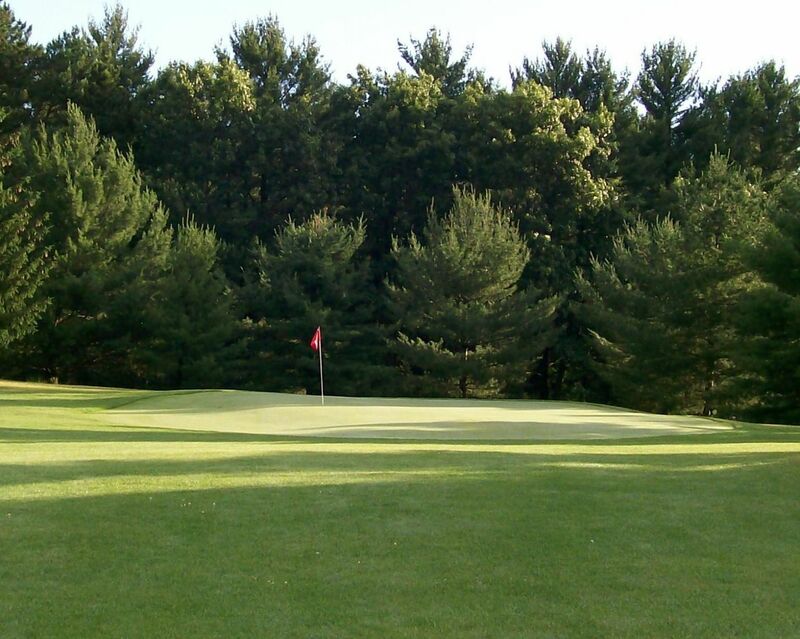 Pinecrest is a true par 3 golf course with nine challenging holes ranging from 90 to 150 yards. Our golf course provides a great introduction to the game of golf for beginners as well as 9 holes of “skill-sharpening”short game practice for the advanced golfer. Pinecrest Golf and Archery offers an assortment of quality facilities. We have a delicious snack bar with a full bar for you to enjoy after your round of golf. Pinecrest Golf and Archery has an eager staff that is committed to providing you with customer service that will make your golf visit memorable. Prepare yourself for an unparalleled golfing experience. Our course is a pleasure for golfers of any skill level to play. Pinecrest Golf and Archery will challenge you while providing a relaxing, picturesque backdrop. We have everything you need to enjoy your next family vacation and improve your golf game at the same time. All in all, our goal is to provide you with a quality experience that includes exceptional service and a comfortable atmosphere. Stop by our Pro Shop and browse through an assortment of golfing supplies. Take advantage of our convenient and secure online booking. Search available tee times by clicking the button on the right. 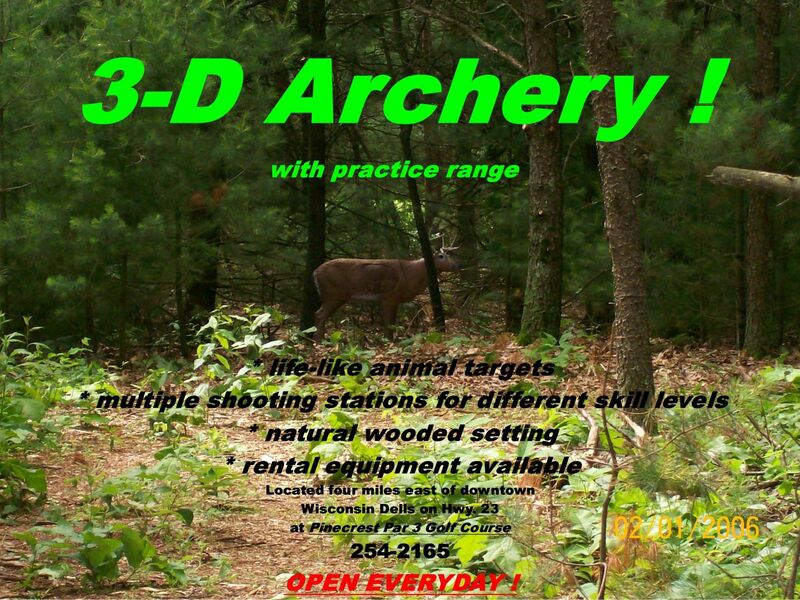 Come out and practice your archery skills on our challenging 3-D archery course. One price allows unlimited access throughout the day to both the practice course as well as the 3-D course. Our 3-D archery course is beautifully laid out in a natural wooded setting with life-like animal targets providing a realistic bow-hunting experience. 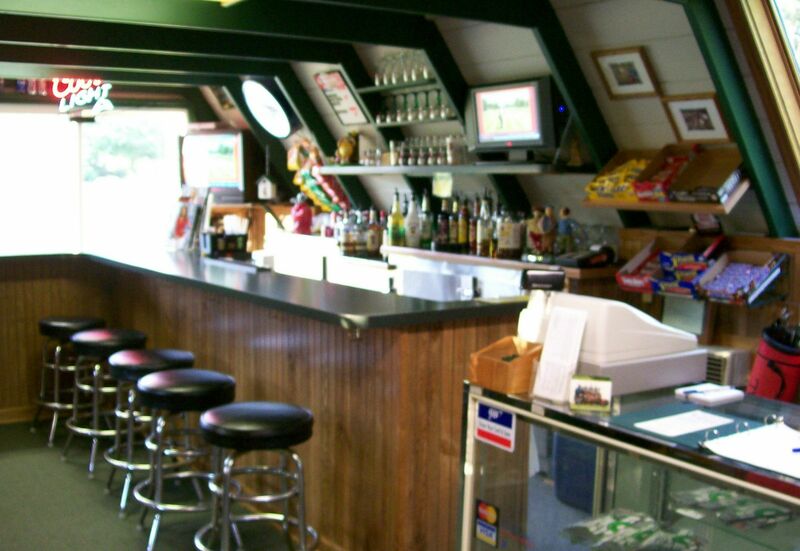 The bar & grill is the perfect way to end your round at our Pinecrest Golf and Archery. Unwind with your favorite beverage from our fully stocked bar while you relax enjoying the natural surroundings. 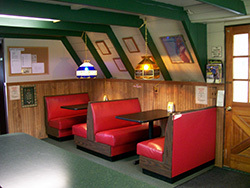 The bar & grill is open daily.